Still love after thirteen years of marriage! 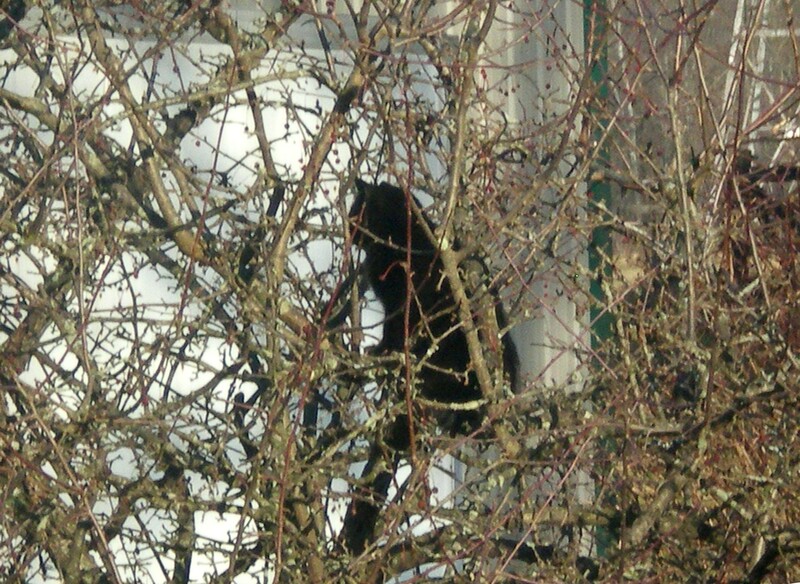 Some saw the picture of our “Cat Bird.” The other day, she was back in the tree. It inspired a poem! her dinner if you please. her stillness is the bait. The other day my grandson and I were in his dining room while he was studying. I looked out the window and laughed as I called his attention to what I saw. It gave us both a giggle and a praise to God for His marvelous creation! There, in a small tree not too far from the house, sat a large–we decided to call it–catbird. Today’s prompt: Write a post based on the contrast between two things — whether people, objects, emotions, places, or something else. Today’s twist: write your post in the form of a dialogue. “What is a dog doing are?” Cat laid his ears back as he stood in the kitchen door. “What? 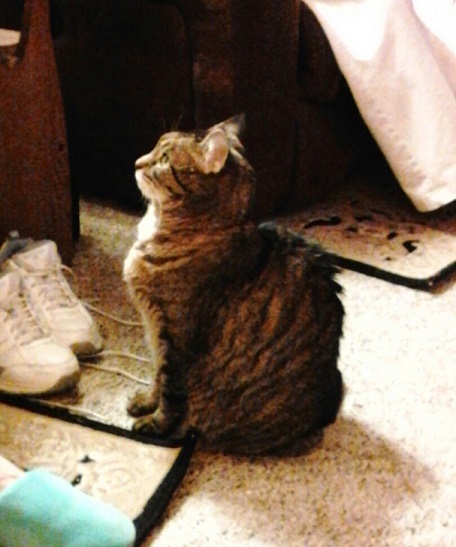 In my house?” growled Cat. “What’s wrong? I’ve been here before. And I’ll only be here a couple days.” Dog took a step forward. “Hey, I just want to be friends,” Dog said. Cat watched Dog lay down. Then with watchful eyes, he made his way to Gayle’s chair on the other side of Don’s chair. He jumped up beside Gayle. For a few minutes he stood on the arm of the chair. The Poetry challenge: Prompt: animal; form: concrete; device: enjambment. My prompt is a cat; in concrete, I tried to do the poetry in the form of a cat; in enjambment, each line ends with a /, meaning the sentence goes onto the next line. Hope you enjoy it. not just  with  loving  hands,  but  says,  "Yes, sir." "And though she but little, she is fierce"